The Barnett shale of the U.S. may have been the catalyst for the country’s explosion in shale oil, but it wasn’t the only major prospective play the world had. Across the ocean in the UK, the North Sea field has been being developed since 1851, a full eight years before Edwin Drake would drill the first U.S. commercial oil well. First commercial oil from the North Sea was produced from an onshore play in Scotland’s Midland Valley. Shale gas was later found in an offshore well near Hamburg Germany in 1910. Oil and gas major BP began producing commercial natural gas from wells in Eskdale, Scotland around 1938. As you can see, the area reaches from the UK to Norway, and touches on Denmark, Germany, and the Netherlands. Each of these areas holds a smattering of oil- and gas-rich fields, both onshore near the coast and offshore. This small sea holds a lot of significance for the entire oil market: just north of where this map marks the Viking Bank is the Brent oil platform. This is the area from which the industry’s benchmark pricing is set. Brent crude is used to price about two-thirds of the global oil trade, and is used to trade oil as a commodity by itself on the Intercontinental Exchange (ICE). But if something so important to the oil market began in the North Sea, why isn’t it already the center of the industry? Well, to begin with, the area isn’t owned by any one country. This means rules regulating when, where, and how oil production can be done differ wildly in every corner of the sea. 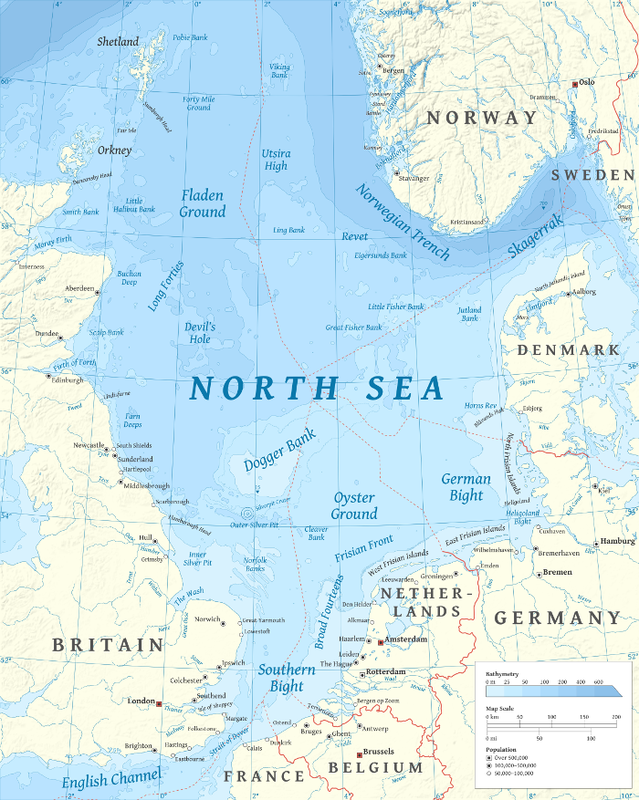 In 1958, the Convention on the Continental Shelf divided the North Sea among five countries: Norway, Denmark, Germany, the UK, and the Netherlands. However, this still leaves room for international dispute. For example, in 2014, Scotland was pushing for independence from the UK. This would have made for a huge shift in the European oil market balance, as 90% of the UK’s oil production came from Scotland at the time. North Sea shale has been pushed to the wayside over the past few years. Production in the area hit a peak in 1999, and exploration last topped 80 new wells in 2007. In 2016, only 13 new wells were spud in the entire year. It wasn’t just the low oil prices hurting investment in the North Sea either; prices were at their best in 2014, and still wells were being spud far below their 2007 peak. Well, in addition to the international differences, there’s one major thing holding producers in the area back: nature. Offshore drilling comes with inherent difficulties that onshore drilling doesn’t, including but not limited to different weather patterns, sea currents, and simply finding a safe, effective way to drill under several thousand feet of water. Still, the North Sea shale is an abundant resource that many companies would love to tap into… if only investment in the area would pick up again. Since the oil rout began in late 2014, exploration and development spending has taken the biggest hit industry-wide. With prices dropping as low as $28, companies focused spending on production from existing assets. Offshore operations in particular saw major drops in investment, in some cases even more than the many delayed onshore projects. Unfortunately, this left the North Sea with a deficit of new discoveries. And discoveries are exactly what it needs to bring business back to the area. Wood Mackenzie estimates that investment in the North Sea will fall about £2.6 billion ($3.13 billion), or nearly 30% throughout 2017 as projects that began before the fall of oil prices are completed and brought online. What the area needs are new projects, and continued development of fields long left to sit as the costs became too high. In 2016, the Organization of Petroleum Exporting Countries, headed by Oil Major Saudi Arabia, made an agreement between its members and a number of non-member countries to cut their oil production and reduce the global glut that had pushed prices so low. Already, the commodity has moved into recovery territory and found a possible price floor above $50 per barrel of oil. It’s not the $114 we saw in 2014, but it’s already been enough to get the market moving. Projects coming online in the North Sea have caused production numbers to start climbing again for the first time in more than a decade! According to Oil and Gas UK, 2015 saw growth of 10.4%, and 2016 is expected to have reached another 6%. Much of this has come from the large-scale investments made at the height of the market in 2014, but new projects are already being planned as oil starts climbing once more. While exploration spending is expected to increase with the price of oil, many companies are looking to older fields that could do with some renewing. The surge of new, more efficient drilling techniques brought on by the U.S. shale boom could extend a field’s life by decades, and keep production in the area growing as well. Companies are taking a second look at the beleaguered, but valuable North Sea fields, and new investment can’t come a moment too soon. In this situation, with oil on a slow but steady rise, it’s going to be the companies with established positions that will be making the most money in years to come. Companies just entering the North Sea will take a while to fully develop new assets, but these companies already have a firm grip on the business. These three companies are in the best position to expand and tap into the full potential of the North Sea oil play. This company has assets across the UK, and most specifically in the Clair field of the North Sea. Notably, these assets survived the five-year purge, in which ConocoPhillips divested nearly 50% of its international assets, selling off its less valuable operations for about $16 billion in proceeds. Its North Sea position has even been targeted by billionaire and Ineos Chemicals founder Jim Ratcliffe, who offered $2 billion for the lot. However, since the assets currently account for 6% of ConocoPhillips’ production with an enterprise value of $79 billion, letting go of the assets for such a low price wasn’t nearly worthwhile. Besides these, ConocoPhillips is also a joint developer of Chevron’s Alder field well. The well is connected directly to ConocoPhillips’ Britannia Platform, in which Chevron holds a 32% interest. Additionally, in December 2016 ConocoPhillips commissioned Magseis, a deep sea seismic services company to examine a prospective area of the North Sea. The project will begin in the second quarter of 2017, and last for three months. The two will be targeting the Eldfisk field, where ConocoPhillips has had oil operations for several years. The Eldfisk is actually part of the larger Elofisk field, home to the largest number of offshore oil and gas facilities in the North Sea. ConocoPhillips has a 35.1% interest in the area, sharing with the likes of Total, Eni, and Statoil. The company also holds small interests in some of the largest oil fields in Norway, including the Troll West and the Osberg. This is just the first stage in a new round of exploration. Even though the last few years have been rough on the oil market and everyone in it, companies like ConocoPhillips know where to focus their limited expenditures to get the most out of every asset. Shell’s UK branch operates a number of oil, gas, and condensate assets in the northern, central, and southern sections of the North Sea. Shell recently sold half of its North Sea assets to Chrysaor for $3.8 billion. Shell is looking to divest many of its non-core assets in the North Sea to help pay off recently acquired debt. You see, despite the two-year rout that brought both oil and gas prices to sickening lows, the company opted to acquire natural gas company BG Group in 2016. The purchase put a strain on Shell’s budget, and prompted a global asset sell-off that’s estimated to be worth around $30 billion. And while sales of core North Sea were sold, the company has already denied rumors that it will be exiting the area completely. With prices looking up from when these divestitures began last year, Shell will want to hold onto its best operations as this oil field bounces back with renewed vigor. 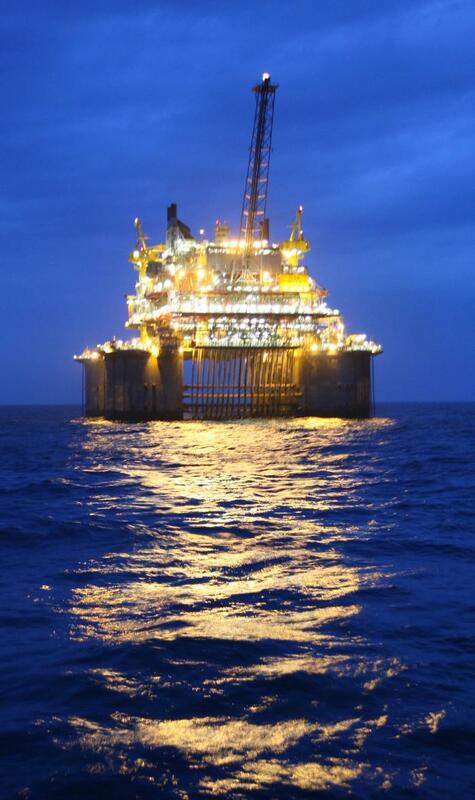 BP operates two major projects in the North Sea: Clair Ridge and Scheihallion. The Clair is the largest oil field in the North Sea, and BP holds the largest operational interest in the area with 28.6%. The rest of the field is operated by Shell with 27.9%, ConocoPhillips with 24%, and Chevron with 19.4%. BP’s Clair Ridge project is currently in its second phase of development off the coast of Scotland’s Shetland Islands. The area holds an estimated eight billion barrels of oil according to the company website. Phase 1 of the project targeted only 300 million barrels of this. Production from these assets began in 2005, and had produced 100 million barrels as of 2014. Phase two is targeting another 640 million barrels using two separate but linked platforms, which were completed in June 2016. BP expects to see first production from these assets in late 2017. Overall, the Clair Ridge project is set to produce as much as 100,000 million barrels per day until at least 2050. More pressing, however, may be BP’s Scheihallion project, also known as the Quad 204. BP had operational assets in the Scheihallion and Loyal oil fields, both off the west coast of the Shetland Islands. In 2013, the Scheihallion FPSO vessel was decommissioned and removed from the company’s active projects. However, the fields are now being renewed under a partnership between BP, Shell, Hess, Statoil, OMV, and Murphy Petroleum, and will make use of BP’s updated oil and gas recovery technology. The newly installed Glen Lyon FPSO will be able to process around 130,000 barrels of oil and 220 million cubic feet of natural gas per day. With the enhanced recovery rates, the project will extend the production lifetime of the two fields beyond the original end date of 2035. In late 2016, BP also announced that it was looking to acquire new projects in the North Sea around the Shetland Islands. As of November 2016, it had acquired a 25% interest in two of Statoil’s licenses east of the Shetland Islands, plus a 30% and 40% interest in two Nexen licenses west of the islands. Though BP has seen a number of bids for its more lucrative assets — including one from the same company targeting ConocoPhillips’ UK assets — it’s nowhere near done making the most of its advantageous position in the North Sea! CEO Bob Dudley stated at the end of 2016 that the company hopes to double its production from the North Sea area from 2015 levels, up to 200,000 barrels per day. Following this, the company’s ongoing exploration program could lead to a whole new set of projects, hopefully under a better oil price! And keep in mind that every one of these companies has a global presence. So, while they work on bringing the North Sea oil fields back up to their full potential, you can still be profiting from the large-scale operations of these international oil powers.